A Feathery Leathery 2011 original is back! Reintroducing our Leather Leaf Mask! 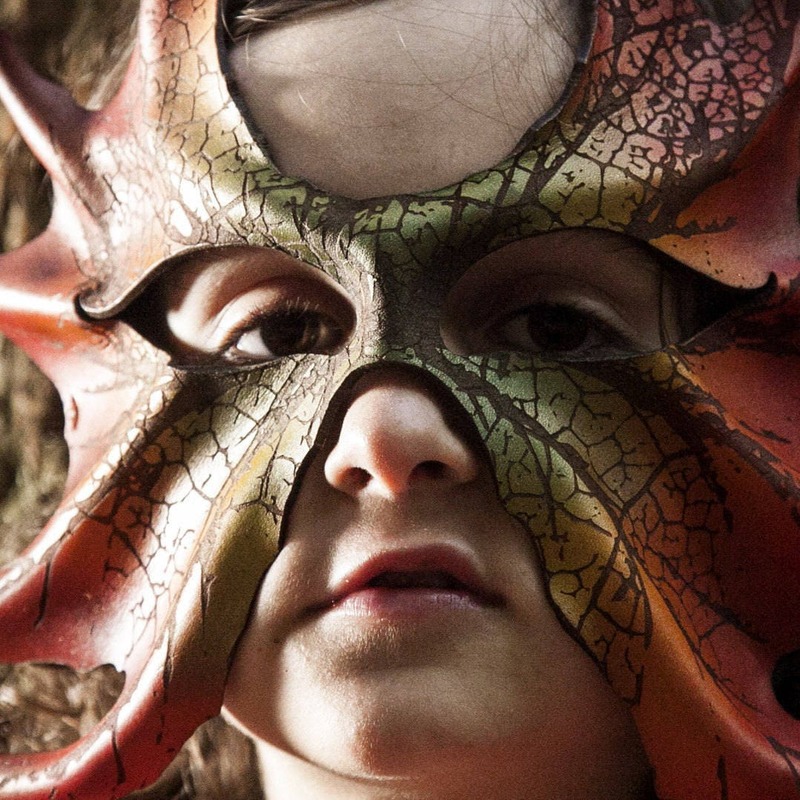 I love this Autumn inspired Leaf Mask, not only because the design inspiration came from one of my sweet boys, but because it is an absolutely enchanting magical piece of wearable art! 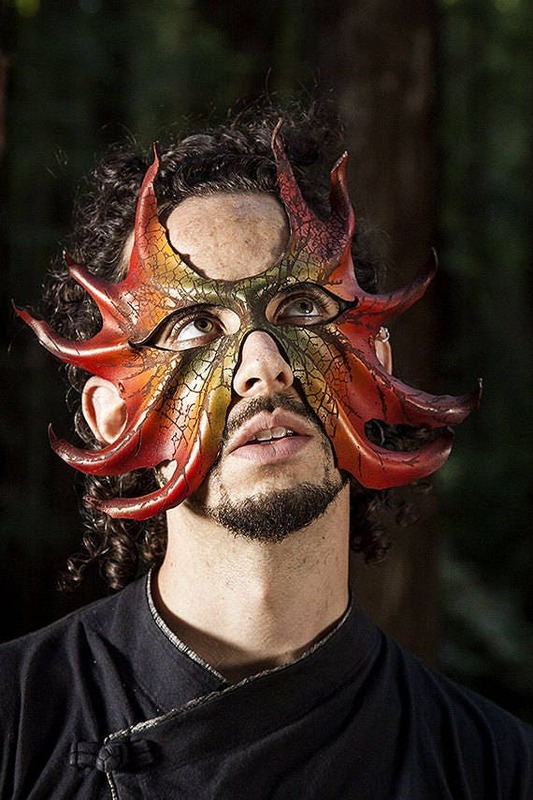 The color scheme of the mask pictured is gorgeous~ranging from a deep dark crimson red at the edges of the leaf, all the way in toward the center, from orange, to yellow, to green with a gold shimmering finish! 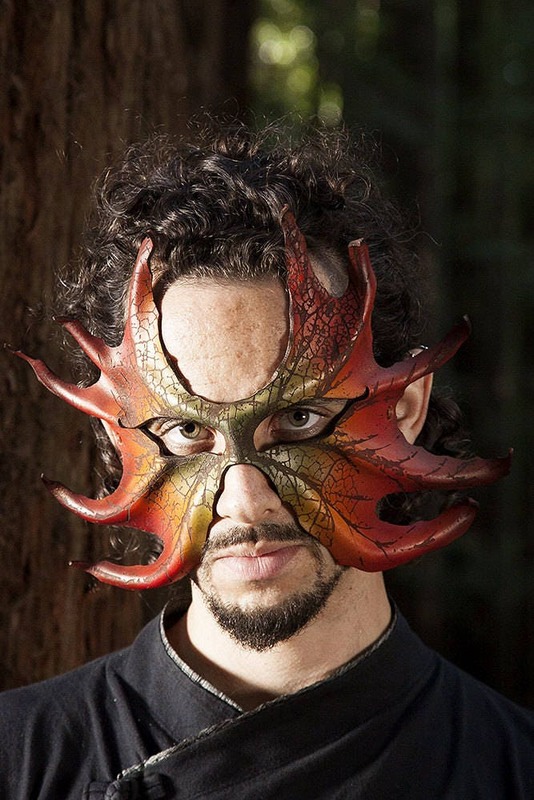 This lightweight, easy to wear, hand sculpted mask is made of 3-4oz vegetable tanned leather. Ties in the back with a soft strong suede cord. 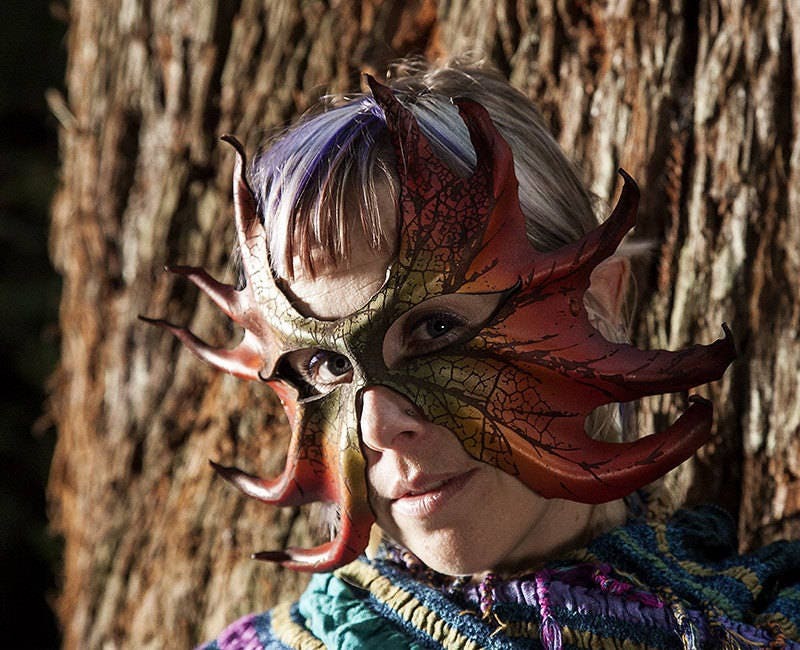 The leaf shape and art engraved pattern on this mask are quite special, as they both came from an actual leaf found in nature. My 9 year old son (pictured wearing the mask-who is now 15! ), was playing in a creek when he discovered the translucent leaf skeleton floating along and brought it carefully to me, informing me that the pattern needed to be used in our leathercraft. The result is quite striking! Customize your Leaf Mask by choosing up to 3 colors for us to blend! Simply specify the colors in a note at checkout or in a message. Free shipping on all US orders, as always!